Saphala Ekadashi is Coming on 13 January 2014 and According to Gujarati Calander eleventh day of the Krishna Paksha in the month of Paush. Saphala Ekadasi is celebrated on eleventh day of the Krishna Paksha in the month of Paush (Pushya) as per North Indian purnimanth calendars. As per Amavasyant calenders it falls in the month of Margashira. 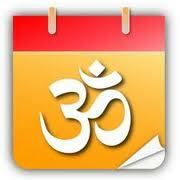 Saphala Ekadashi is coming twice in 2013. This year, Saphala Ekadasi is on Tuesday, 8th January 2013 and Saturday, 28th December 2014. 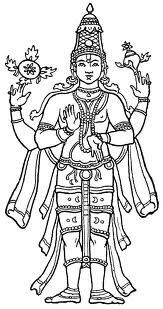 Saphala Ekadasi is mentioned in Brahmanda Purana. The importance of Saphala Ekadashi was explained to Yudhishtira by Lord Sri Krishna. 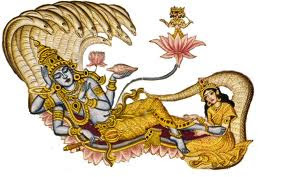 This Ekadasi is dedicated to God Vishnu. Devotees observe fast on this day. All the normal rules fallowed on Ekadasi are observed during Saphala Ekadasi. Saphala means Success. Ekadashi is Eleventh day of Lunar cycle. By observing the Saphala Ekadashi Fast one can attain every success in his life. The Supreme Personality of Godhead Shree Krishna then replied, “O best of kings, because you desire to hear, I shall fully describe to you the glories of the Pausha-krishna Ekadashi. “I do not become as pleased by sacrifice or charity as I do by My devotees observance of a full fast on Ekadashi. 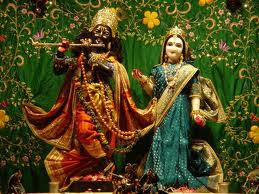 To the best of one’s ability, therefore, one should fast on Ekadashi, the day of Lord Hari. “O Yudhishthira, I urge you to hear with undivided intelligence the glories of Pausha-krishna Ekadashi, which falls on a Dwadashi. As I explained previously, one should not differentiate among the many Ekadashis. O king, to benefit humanity at large I shall now describe to you the process of observing Pausha-krishna Ekadashi. 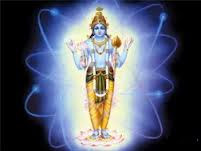 “Pausha-krishna Ekadashi is also known as Saphala Ekadashi. On this sacred day one should worship Lord Narayana, for He is its ruling Deity. One should do so by follow the previously described method of fasting. Just as among snakes Shesha-naga is the best, and among birds Garuda is the best, among sacrifices the Ashvamedha-yajna is the best, among rivers Mother Ganges is the best, among Gods Lord Vishnu is best, and among two-legged beings the brahmins are the best, so among all fasting days Ekadashi is by far the best. O foremost of kings who took your birth in the Bharata dynasty, whoever strictly observes Ekadashi, becomes very dear to Me and indeed worshippable by Me in every way. Now please listen as I describe the process for observing Saphala Ekadashi. “On Saphalaa Ekadashi My devotee should worship Me by offering Me fresh fruits according to time, place and circumstance, and by meditating on Me as the all-auspicious Supreme Personality. He should offer Me jaambira fruit, pomegranate, betel nuts and leaves, coconut, guava, varieties of nuts, cloves, mangoes, and different kinds of aromatic spices. He should also offer Me incense and bright ghee lamps, for such an offering of lamps on Saphalaa Ekadashi is especially glorious. The devotee should try to stay awake all the Ekadashi night (This is optional as this maybe difficult for most to observe). “Now please hear with undivided attention as I tell you how much merit one gets if he fasts and remains awake throughout the entire night singing and chanting the glories of Narayana. O best of kings, there is no sacrifice or pilgrimage that yields merit that is equal to or better than the merit one gains by fasting on this Saphalaa Ekadashi. Such fasting – particularly if one can remain awake and alert the entire night long – bestows the same merit upon the faithful devotee as the performance of austerity for five thousand earthly years. O lion among kings, please hear from Me the glorious history that made this Divine Ekadashi famous. 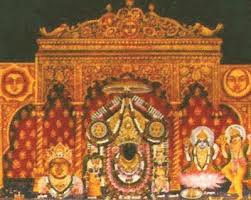 “Once there was a City called Champaavati, which was ruled by the saintly King Maahishmata. He had four sons, the eldest of whom, Lumpaka, always engaged in all manner of very sinful activities – illicit sexual encounters with the wives of others, gambling, and continual association with known prostitutes. His evil deeds gradually reduced the wealth of his father, King Maahishmata. Lumpaka also became very critical of the numerous devas, the empowered universal attendants of the Lord, as well as toward the brahmins, and every day he would go out of his way to blaspheme the Vaishnavas. At last King Maahishmata, seeing the unrepentant brazen fallen condition of his son, exiled him to the forest. Out of fear of the king, even compassionate relatives didn’t come to Lumpaka’s defense, so angry was the king toward his son, and so sinful was this Lumpaka. “Bewildered in his exile, the fallen and rejected Lumpaka thought to himself, ‘My father has sent me away, and even my kinsmen do not raise but a finger in objection. What am I to do now?’ He schemed sinfully and thought, ‘I shall sneak back to the city under cover of darkness and plunder its wealth. During the day I shall stay in the forest, and as night returns, so shall I to the city.’ So thinking, the sinful Lumpaka entered the darkness of the forest. He killed many animals by day, and by night he stole all manner of valuable items from the city. The city-dwelling folk apprehended him several times, but out of fear of the king they left him alone. They thought to themselves that it must have been the accumulated sins of Lumpaka’s previous births that had forced him to act in such a way that he lost his royal facilities and became to act so sinfully like a common selfish thief. “Though a meat-eater, Lumpaka would also eat fruits every day. 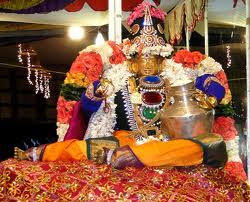 He resided under an old banyan tree that unknown to him happened to be very dear to Lord Vaasudeva. Indeed, many worshipped as the devas (representative departmental head) of all the trees in the forest. In due course of time, while Lumpaka was doing so many sinful and condemnable activities, the Saphalaa Ekadashi arrived. On the eve of the Ekadashi (Dashami) Lumpaka had to pass the entire night without sleep because of severe cold that he felt due to his scanty bedclothes (bedding). The cold not only robbed him of all peace but almost of his very life. By the time the sun rose, near dead, his teeth chattering and near comatose. 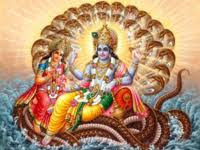 In fact all that Ekadashi morning, he remained in that stupor and could not awaken out of his near comatose condition. “When midday of the Saphalaa Ekadashi arrived, the sinful Lumpaka finally came to and managed to rise up from his place under that banyan tree. But with every step he took, he stumbled and fell to the ground. Like a lame man, he walked slowly and hesitantly, suffering greatly from hunger and thirst in the midst of the jungle. So weak was Lumpaka that he couldn’t even concentrate to nor muster strength to go and kill even a single animal that whole day. Instead, he was reduced to collecting whatever fruits had fallen to the ground of their own accord. By the time he returned to his banyan tree home, the sun had set. “Placing the fruits on the ground next to him (at the base of the sacred banyan tree), Lumpaka began to cry out, ‘O, woe is me! What should I do? Dear father, what is to become of me? O Shree Hari, please be merciful to me and accept these fruits as an offering!’ Again he was forced to lie awake the whole night without sleep, but in the meantime the all merciful Supreme Personality of Godhead, Lord Madhusudana, had become pleased with Lumpaka’s humble offering of forest fruits, and He accepted them. Lumpaka had unwittingly observed a full Ekadashi fast, and by the merit he reaped on that day he regained his kingdom with no further obstacles. “Upon hearing these celestial words resounding from above, Lumpaka mounted the horse and rode back to the city of Champaavati. By the merit he had accrued by fasting on Saphalaa Ekadashi, he had become a handsome prince once more and was able to absorb his mind in the lotus feet of the Supreme Personality of Godhead, Shree Hari. In other words, he had become My pure devotee. “Lumpaka offered his father, King Maahishmata, his humble obeisance’s and once more accepted his princely responsibilities. Seeing his son so decorated with Vaishnava ornaments and tilak (udhvara pundra) King Maahishmata gave him the kingdom, and Lumpaka ruled unopposed for many, many years. Whenever the Ekadashi came, he worshipped the Supreme Lord Narayana with great devotion. And by the mercy of Shree Krishna he obtained a beautiful wife and a fine son. In old age Lumpaka handed his kingdom over to his son – just as his own father, King Maahishmata, had handed it over to him. Lumpaka then went to the forest to dedicate his concentrate attention to gratefully serve the Supreme Lord with controlled mind and senses. Purified of all material desires, he left his old material body and returned back to home, back to Godhead, attaining a place near the lotus feet of his worshipful Lord, Shree Krishna.